Labour branded the issues “unacceptable” after analysis by the Scottish Parliament Information Centre found that 15 high profile schemes had faced cost overruns in Scotland. They included the £330 million upgrade of the Aberdeen to Inverness rail line, the £163 million Aberdeen Baird Family Hospital and ANCHOR Centre, NHS Orkney’s new £64 million hospital, health centres at Inverurie and Foresterhill, and the construction of Stoneywood Primary in Aberdeen. And the research found that 29 infrastructure projects across the nation had faced delays including the £745 million Aberdeen bypass, the £97 million construction of two new west coast ferries, and several of the projects which were also over budget. The analysis compared the anticipated cost and completion date of all major projects in November 2016 to the expected final bill and finishing point in March this year. 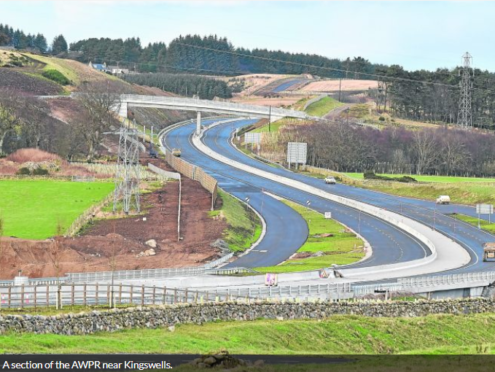 Scottish Labour’s Economy spokeswoman Jackie Baillie said: “The scale of these delays and the spiralling costs seriously calls into question the SNP’s handling of major infrastructure projects. “The fact that so many projects are over budget, delayed, or both is unacceptable and, given financial and timescale details are only available for 49 out of 87 projects, this could just be the tip of the iceberg. “We already know the SNP government is putting billions of pounds of taxpayers’ money for public projects in the hands of private companies – and these figures show that people in Scotland are not getting value for money.